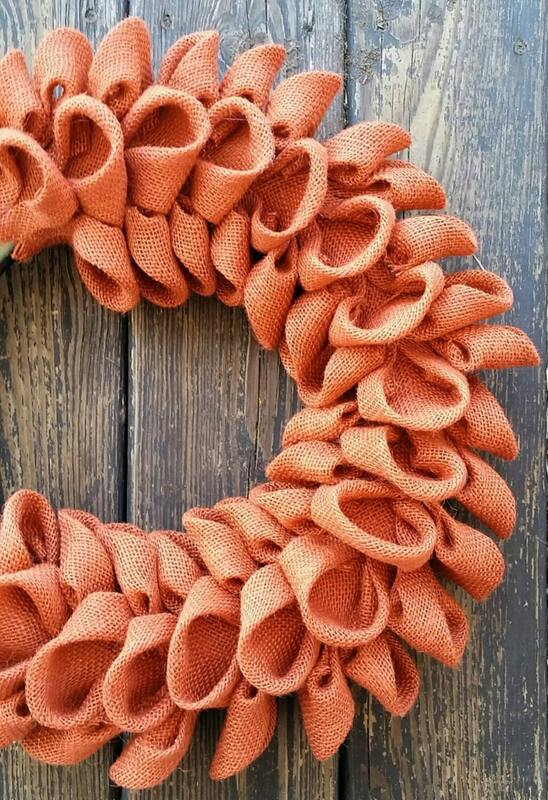 I love the bubble burlap wreaths! The are elegant and beautiful but I wanted something a little different. Was there a way to make burlap more modern??? Less rustic??? After playing with squares of burlap for a couple of days a piece of paper my child had folded caught my eye. I folded and unfolded that tiny piece of paper as the wheels turned inside my head. Yes! It would work!!! I grabbed my squares of burlap and set to work. When I was finished it was just what I had envisioned. Something rustic but with a twist of modern flare. My 6 year old son takes great pride in helping design this wreath. Every time I make one he asks, "Mama, does your customers like my designs?" I always answer absolutely!!! 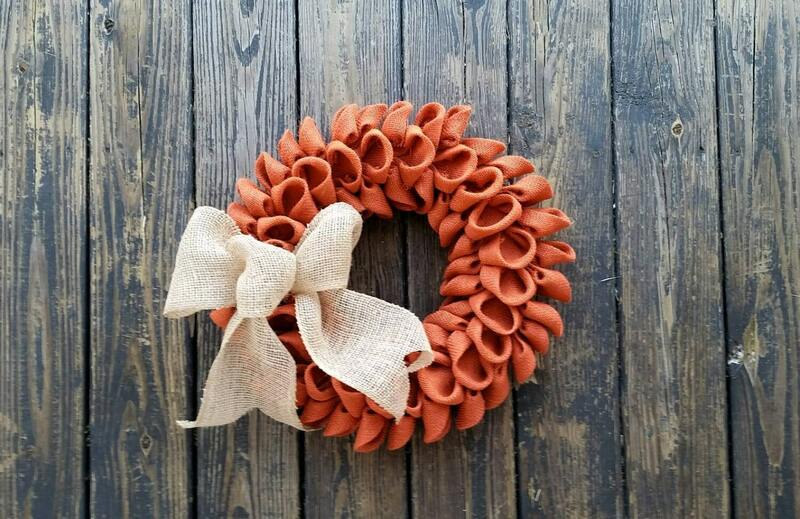 The wreath base is a 14 inch styrofoam wreath ring. The wreath measures approximately 19 inches in diameter. 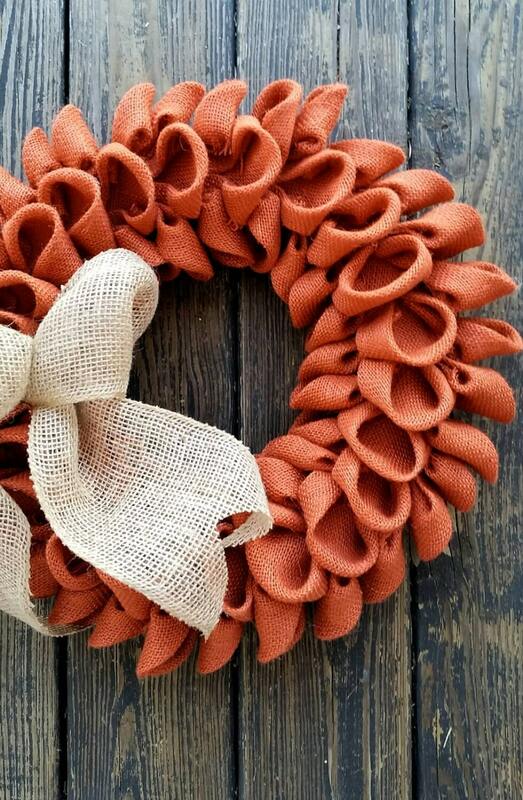 The burlap for the wreath is orange... a color that flows effortless from spring to fall to Christmas. 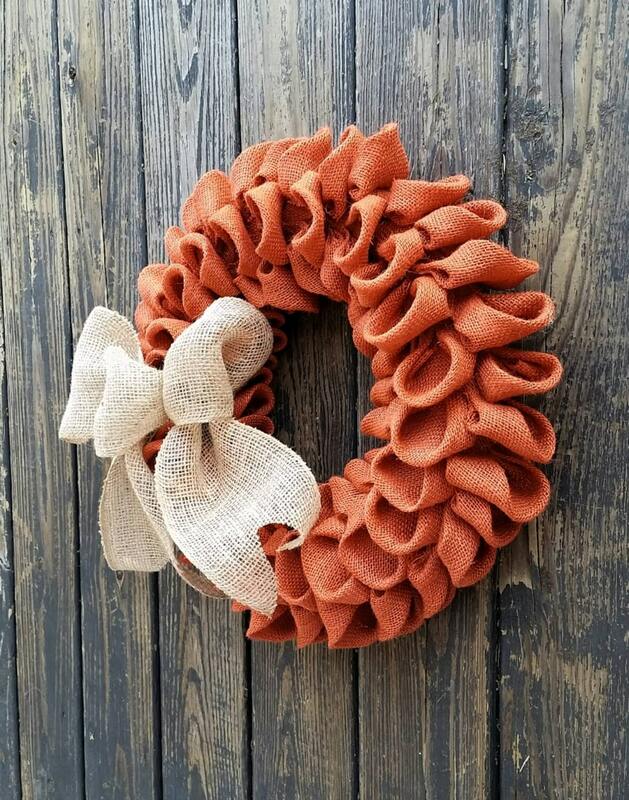 The bow is chocolate burlap. 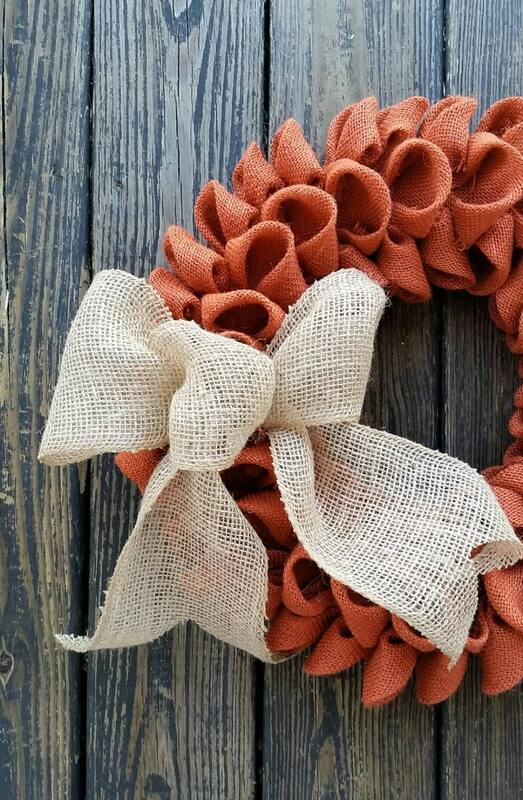 Are you interested in a different color burlap for your wreath? Send me a convo. Pricing is the same for standard, solid colored burlap.